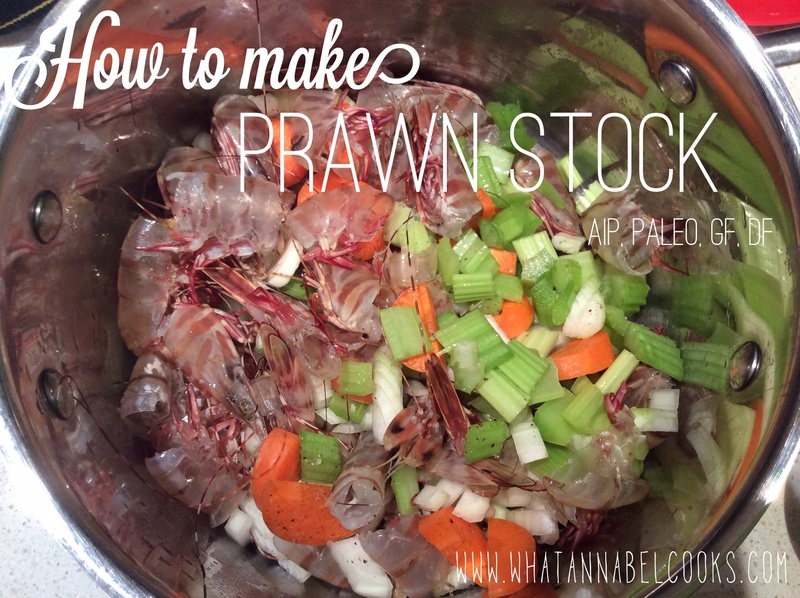 I have only really gotten into making stock in the last year or so but this is the first time I’ve made prawn stock. Now I have to figure out what I’m going to do with it! Any ideas? Please comment and let me know if you have some suggestions. It was super easy to make although it did stink out the kitchen for the evening! Place all ingredients in large saucepan or stock pot. Fill with water until ingredients covered by a few cms. Bring to boil then simmer for an hour or so. 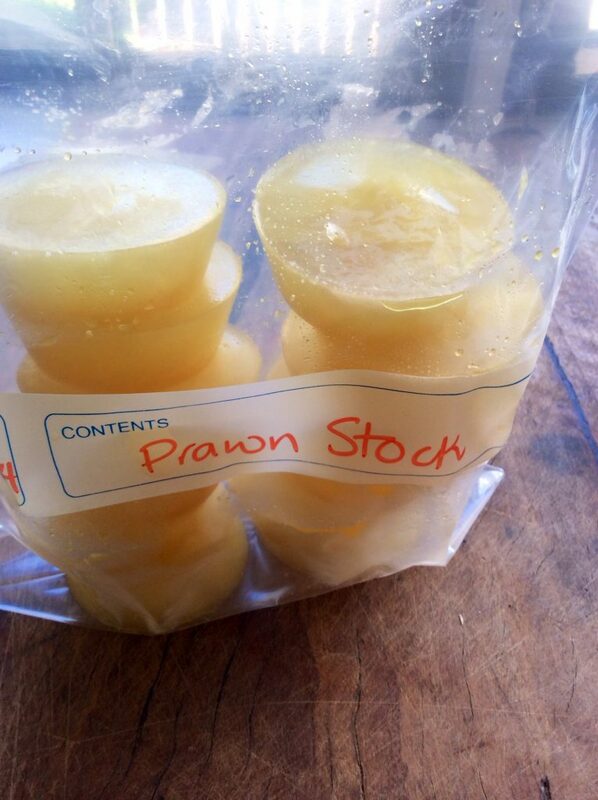 Strain and allow stock to cool. Use stock as desired. 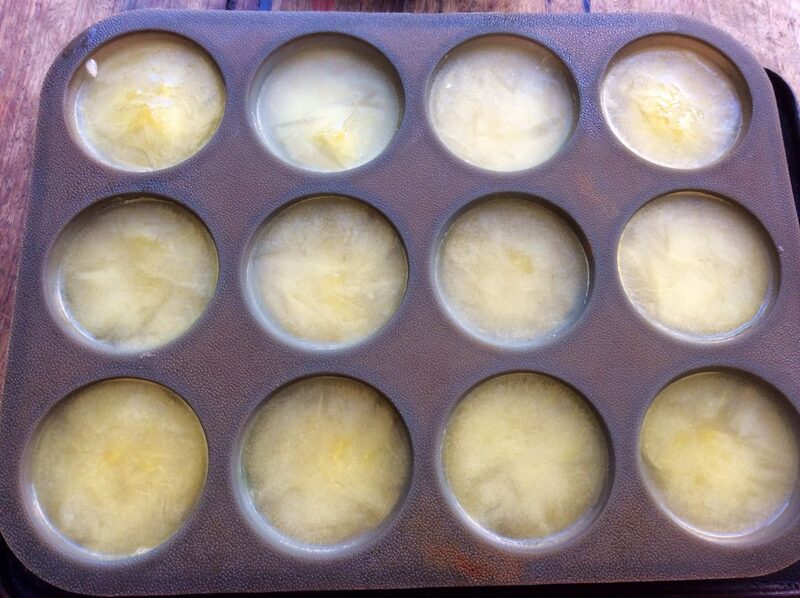 I poured mine into a silicone muffin tray to freeze in useable (when I work out what for!) portions. And especially enjoy eating the prawns that came out of the shells.